I didn’t really want to do this. Crazy articles related to nutrition/supplementation that pop up in the media regularly get sent my way. Most often I can see the unscientific nonsense straight away, remind myself my time is best spent on other things and avoid engaging with it. But somehow I now find myself writing this public response to one such opinion piece. In this particular case, for reasons I’ll mention later, I feel the need to sufficiently address an article published on the 22nd of November in the Irish Independent. On my first read through, I was blown away. But not in the manner the writer may have hoped. I was blown away by the sheer amount unscientific claims, scaremongering and ignorance. But more disturbingly, I found that the recent tragic death of All-Black Legend Jonah Lomu was being used as the emotional hook to pull readers into Francis’ ill-informed crusade against a perfectly safe supplement. But I don’t want this to become a biased opinion piece like the original article. So instead I want this to be viewed as an open letter to the Irish Independent, addressing the points raised in the article through looking at what objective science has to say. I will put all Francis’ quotes in blue so there is no confusion. Francis sets the stage early on, bringing up Lomu’s battle with Nephrotic syndrome (a kidney disorder). And speculate he does. In outrageously unscientific fashion. Maybe I’m just naive and this is good writing. I mean, it certainly jolts the reader and it’s shocking tone is no doubt geared to be emotive. Which would all be fine except for the inconvenience of that statement being 100% NOT true. It shows a fundamental misunderstanding of what creatine actually does and how it works. (Ditto for steroids). Let’s consider the effect that actual anabolic steroids can have on the body. They can directly influence increases in muscle mass. In fact a study that appeared in the New England Journal of Medicine exemplified this brilliantly. Those who took testosterone, whilst doing ZERO training, gained slightly MORE muscle mass than those who completed a good quality “bodybuilding-esque” training program for 10 weeks without steroids. Do you know what happens to your muscle mass if you take creatine for 10 weeks and do no training? True, people use creatine supplementation when trying to gain weight. But creatine does NOT directly build muscle. Taking a creatine supplement does NOT have the same effect as taking anabolic steroids. Any Creatine your body does not use is excreted as a waste product called creatinine. If you take 20g a day of Creatine your body will not be able to use most of it and will have to excrete the excess. It’s clear that Francis is implying that long-term use of creatine can harm your kidneys and liver, especially if it’s above the recommended dosage. But does he have any evidence to support this? Credit where credit is due. 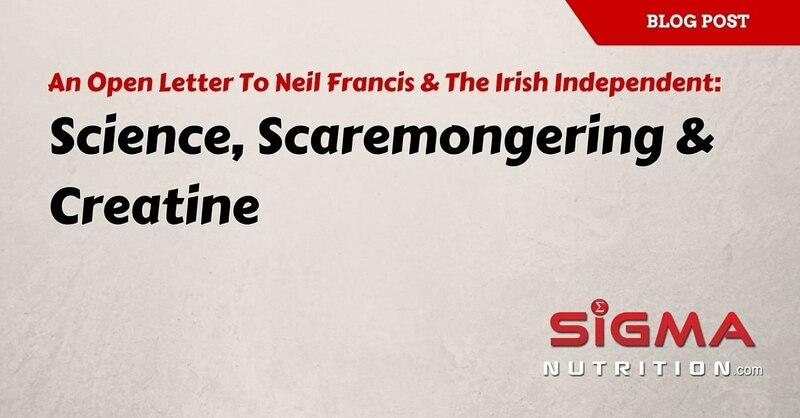 While Neil Francis does indeed choose to ignore all of the data on the safety of creatine (I’ll get to this later), he does eventually reach a point in the article where he attempts to use at least one research paper to back up his claims. He references a case study of ONE patient who was taking 200 grams of creatine a day. No, that’s not a typo. Two hundred grams per day. 40 times the standard dose. But the best part is still to come. You know what else was reported about the guy in that case study? Do you know what “methandion” is? Yep, we have a 22 year old taking huge amounts of an anabolic steroid everyday and adding in 200 grams of creatine for good measure, and he ends up with issues. Pretty clear what to conclude from this; Obviously that no one should take creatine, right? Hilarious stuff. Kreider et al. (2003) examined the effects of long-term creatine supplementation (over 21 months) on 69 markers of clinical health status in a group of 98 athletes. The creatine group were on about 16 g of creatine per day for the first 5 days and then an average of 5 g/day thereafter. At the end of the study they found no clinically significant detrimental impact on markers of clinical status. Gualano et al. (2008) performed a randomized, double-blind, placebo-controlled trial (the gold standard of clinical trials) in which 18 subjects received either 10 g of creatine per day for 3 months, or a placebo (dextrose powder). Among other parameters, the researchers looked at levels of something called cystatin C (a type of protein) in the blood. When kidneys are working well, they keep the level of cystatin C in your blood within a healthy range. If the level of cystatin C in your blood is elevated, it indicates that their may be an issue with kidney function. The Gualano study not only found that cystatin levels in the creatine were not elevated, in fact there was a decrease in cystatin C levels. Thus leading the researchers to conclude that “high-dose creatine supplementation over 3 months does not provoke any renal dysfunction in healthy males”. Dr. Jacques Poortmans’ lab has produced several papers showing the safety of creatine. In a 2005 study they supplemented 20 men with 21 g of creatine daily for 14 consecutive days and found it did not have any detrimental effects on kidney permeability. I could continue to list literally dozens, if not hundreds, of studies that paint a similar picture to those above. But simply pointing out specific studies doesn’t give a full picture. Good science entails taking a look at the overall body of evidence and drawing conclusions based on all the available data. So is there any evidence to show that creatine supplementation causes kidney damage or any other serious health issues? If there is, someone please show it to me because I can’t find any. 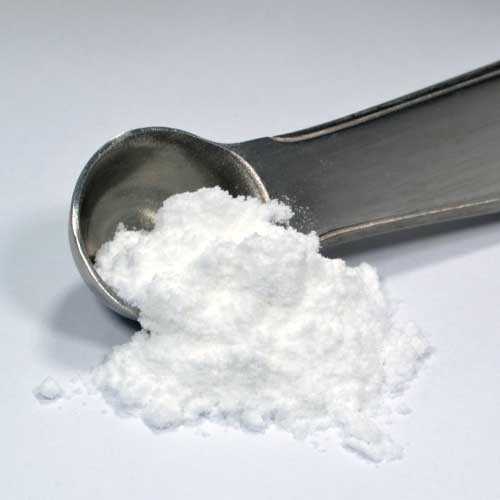 What Should We Do About Creatine? So what does Francis recommend? This type of statement really irks me. Because it’s blatant scaremongering. Scaring parents who are trying to look out for their son or daughter. Now, of course, there are products you can find that may be contaminated or not of an adequate quality. But this is just because it’s a poor product produced by a non-trustworthy company. This concern goes for every supplement, not just creatine. But creatine is easy to buy from reputable companies (e.g. MyProtein, Optimum Nutrition, etc.) where you know exactly what you’re getting. Hell, you can even get it to come with a guarantee of it’s purity, it had no contamination and that it 100% won’t lead to a positive doping test (see Informed-Sport quality assurance). Not exactly the condemnation you’d expect if creatine was as Francis portrays it to parents of youth athletes, eh? “Well you know, I always say you’ve got to practice what you preach. I have twin daughters they are turning 14 years old this year, and they’ve been taking creatine since they were 6 years old. The data of creatine use in adults in incontrovertible; there’s no evidence of any side effects. The data on kids is the same thing. There’s data on teenage kids who are athletes taking creatine, data on kids from age of 1-18 who have had traumatic brain injury taking creatine, there’s data on kids who’ve had muscular dystrohpy. There’s absolutely no reason that you can’t give a children a little bit of creatine, both to help exercise recovery and even help brain function. The idea that it is dangerous to you has no basis in science. It like telling people ‘hey if you want to believe in unicorns believe it, I can’t convince you they don’t exist’, same with this. At this point, I’m sure you’re starting to get a feel for how poorly supported pretty much all of the claims and insinuations in Neil Francis’ article are. The vast majority of the body of scientific evidence holds the complete opposite view. How anyone can say this in the face of the absolute wealth of scientific data that says the complete opposite is astounding. But wishing something was true doesn’t make it so. Earnest et al. (1998) found that patients with high triglycerides that participated in 56 days of creatine supplementation showed a 23% decrease in triglycerides. And even 4 weeks after the trial was over, their triglycerides were 26% below their baseline figures before supplementation. A study by Kreider et al. reported that subjects who creatine supplemented for 28 days increased HDL by 13%, decreased LDL by 13%, and the ratio of total cholesterol to HDL by 7%. Felber et al. (2000) published data on a 9 year old boy with muscular dystrophy who was given creatine. After 155 days of creatine use the patient’s balance improved. And he went from only being able to walk 50 meters on a flat surface to 450 meters on an inclined surface. A 6-month double-blind, randomized, placebo-controlled trial (again, the gold standard of trials) found that creatine supplementation was “safe and effective” in patients with idiopathic inflammatory myopathies. Work on rodents has even indicated that creatine supplementation could play a beneficial role in protecting against traumatic brain injury. Hopefully this serves to highlight what can sensibly and objectively concluded from all the scientific evidence we have on creatine supplementation. Hopefully it clears up some of the confusion that is created by poor-quality articles that pop up in mainstream media from time to time. Perhaps, if you’re a parent with a son playing high-level schools rugby, this gives you some piece of mind that a creatine supplement isn’t killing him or causing his kidneys to fail. At this point, there is no evidence to suggest that taking a creatine supplement will cause serious health issues, including damaging the kidneys or causing kidney disease. There is extremely strong evidence to show that consistent creatine supplementation for up to 5 years is both safe and effective. While there is less available data on supplementation in children, the current literature has yet to show any problems. In fact, benefits have been reported in both athletic and clinical application. Creatine supplementation has been trialed with good results in many clinical scenarios, showing benefits for those with hypertriglycerideamia, hypercholesteroleamia, muscular dystrophy, eye disease and potentially in cases of neurodegeneration. Creatine is not killing people. You see, when we do something that Neil Francis’ spectacularly fails to do; actually examine the scientific literature base, a different story emerges. Not the explosive, sensationalist and emotive story spun by Francis in his article, but rather a much more boring one that doesn’t sell newspapers. But to me, perhaps the worst part is that he uses Jonah Lomu’s tragic death to push his own delusional crusade against creatine, despite having nothing to back him up. If you think this information is worth spreading, or know someone who needs to hear the truth, please consider sharing this post.